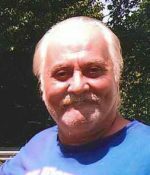 Remembering Rex Dyer | Remembering Rex Dyer | De Soto Obituary Search | Dietrich-Mothershead Funeral Home, Inc. Remembering Rex Dyer | De Soto Obituary Search | Dietrich-Mothershead Funeral Home, Inc.
Rex Duane Dyer was born October 7, 1955 in Benton Harbor, MI. He was the son of Vernon Dyer, Sr. and Wanda (nee Jones) Coke. He died on February 4, 2019 at his residence in De Soto, MO at the age of 63 years. He is survived by his daughter, Misty Dawn Dyer, CA; siblings, Debbie (Frank) Alderson, Indianapolis, IN; David Dyer, Denver, CO; Michelle (John) Martin, De Soto, MO; Teresa Brown, Richland Center, WI; Timothy (Missy) Hampton, Fredericktown, MO; Michael (Lori) Harner, Greenwood, IN; and Vernon Dyer, De Soto, MO; several nieces and nephews. 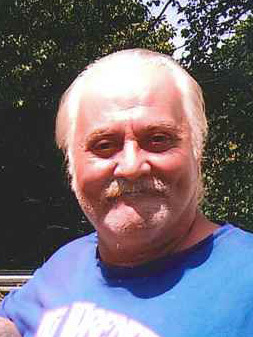 Rex was a yard foreman at Bucheit and served in the U.S. Army.